Herbert Luck North: Arts and Crafts Architecture for Wales by Adam Voelcker with a forward by HRH The Prince of Wales, published by The Royal Commission on the Ancient and Historical Monuments of Wales, paperback, 136pp, £14.95. This book explores the beautiful and inspiring buildings of the Arts and Crafts architect Herbert Luck North (1871-1941). Although less well known than the architects with whom he began his career, J. D. Sedding and Edwin Luytens, North was an outstanding designer of humane buildings that were sensitively grounded in their local environments. He took an early interest in vernacular building traditions, writing two pioneering books on Snowdonia churches and houses, and he absorbed into his own design work distinctive regional details, the use of local materials and a keen sense of how buildings could complement the landscape. He had a direct or indirect influence on a number of Welsh architects, and his thoughtful, modest and sensitive approach, so lovingly expressed in this new book, still has the power to inspire. 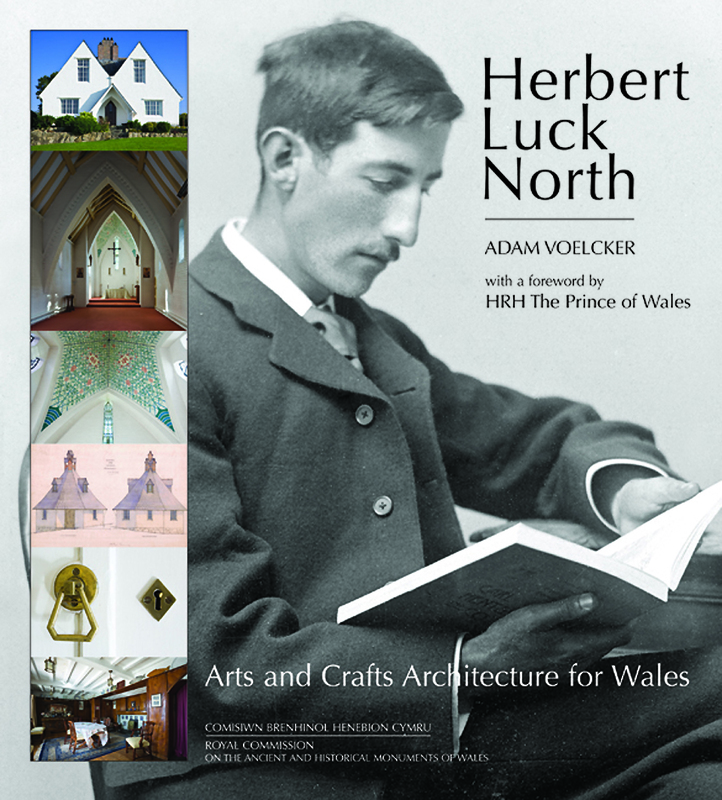 Herbert Luck North: Arts and Crafts Architecture for Wales is superbly illustrated with specially-commissioned photography and ground-plans as well as historical photographs and North’s handsome original drawings. It will enable an understanding of this significant architect’s legacy for the first time, and allow more people to appreciate the richness of his contribution to our built heritage.